It’s holiday project time and Global Fabrics has you covered! Visit their Tokai or Fish Hoek store this holiday and stock up on everything you need! Enjoy knitting, sewing or craft projects? Global Fabrics and Interiors is the go-to place for these forgotten handcraft skills and so much more! They offer an extensive range of dress fabrics, upholstery fabrics, curtaining, wool and haberdashery items that are aligned with global trends and styles. 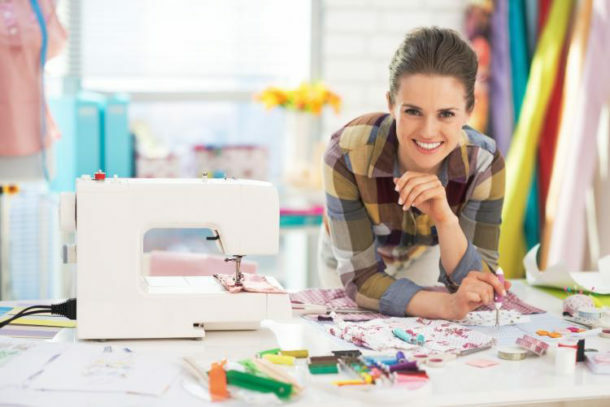 You’ll find everything you need for your sewing, knitting, crocheting or upholstery projects. They also deliver fashionable solutions for every project, big and small. Spend more than R150 on any of following items before 8 January 2018 and you’ll stand a chance to win your full purchase back! Write your contact details on your receipt and post it into the competition box at the Global Fabrics store till point. Winner to be announced on Facebook and contacted by cell number on 10 January 2018. 6 Honeywell Road, Retreat (Turn left at the Spotty Dog). The store is on the right-hand side; next to the Candle Factory Shop and Flowers for Africa. Credit to © 2018 SA Décor & Design. All Rights Reserved. 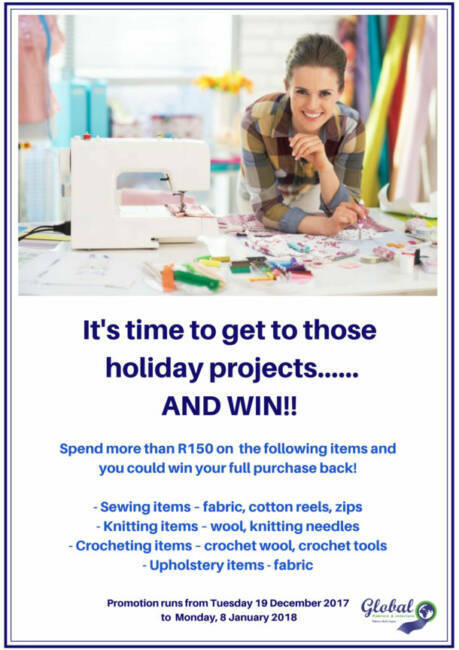 https://www.globalfabrics.co.za/wp-content/uploads/2018/02/sewing-machine-day-fun-610x407.jpg 407 610 admin https://globalfabrics.co.za/wp-content/uploads/2017/09/Global-Fabrics-Logo-281x149.png admin2018-02-08 11:07:352018-08-24 13:36:42What’s New at Global Fabrics?